Influencer marketing programs have the ability to take your campaigns to new levels. The added credibility, name recognition, and distribution network that influential folks offer can spread your message far beyond the reaches of the typical ebook, blog post, or other marketing material. We want to shoot for the stars with the players we choose to bring onboard. Big name recognition that brings with it big interest in our message. Just don’t set your sights too big. Everyone wants their influencer marketing campaigns to be a huge success. We want well recognized names in the industry and the bigger players we can get onboard. Who wouldn’t want the Bill Gates, Barack Obama, and Katy Perry of their industry to be part of their program? It would be idea. The problem is that it just isn’t realistic. The biggest names in any industry are almost always incredibly busy. They’re running big companies, attending and speaking at countless events, and working hard to keep the top spots. Is it realistic to think they’ll take time from their busy lives to be part of your efforts? Do they even know who you are to consider giving you the time of day? Consider these type things when picking people to partner with. Many big names also seek compensation for their time. While it certainly is understandable that they should be compensated for their time and tying their name to the project, it’s no longer an influencer marketing piece when the paid aspect comes into play. At that point you have to disclose the fact that they have been paid by you (per FTC guidelines) and you’ve gone from having a influencer to a paid endorsement. People are also less likely to believe what the influencer has to say as they’ll simply assume you’re paying them to do so. All of this isn’t to say that you shouldn’t look to include well known individuals in your influencer marketing. They should certainly be on your prospect list. Just keep in mind that they may not be as willing to lend their name or time to such projects as others. Going in with your A-listers along with more realistic candidates too. Finding a balance between influencers that are well known in the industry and those well known online is important. A well designed influencer marketing program will have both. If you have only the big names, you often find they don’t have the social media activity and blog traffic to help expand the reach of your campaign. If you go the other direction and only have those who have built large social followings, you often end up with people that the general buyer hasn’t heard of. Attracting people to read your piece from those they’ve never heard of can be difficult and the credibility aspect isn’t as strong. Finding a balance of the two is your best bet. Those with a large social following can get the message to the masses while including the names of well knowns means more people will show interest when they see the social posts. 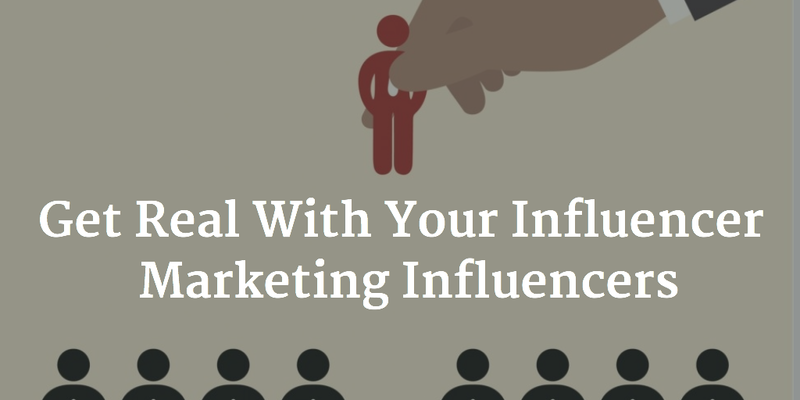 Picking the right people for your influencer marketing program is key to its success. By having reasonable expectations of who to go after and balance of names that will gather the greatest reach along with those that’ll bring them in, you can build an influencer marketing campaign that crushes it.